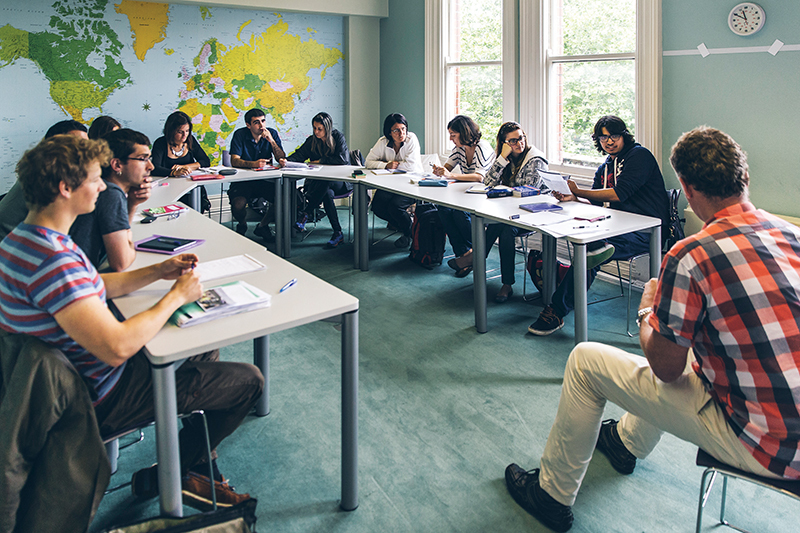 Studying languages is one of the most exciting and worthwhile ways to travel the world, but have you ever thought of why Belfast is the best place to study English? When thinking of studying abroad, many people automatically think of clique destinations like Barcelona or New York… but if you’re curious about exploring somewhere unique while improving your English skills or training to become a language teacher then this post is you. Don’t believe us? Check out these 10 reasons of why Belfast is the best place to study English and see if we can change your mind. Of course, you may think that we are just being biased, but you don’t have to take our word for it. World-renowned travel guide Lonely Planet announced this year that Belfast is the number 1 place to visit in 2018. Irish food is served in pubs, bars and restaurants all over the world as hearty, comfort food. If you have never had potato bread, soda bread, proper stew, or a pint of Guinness in Ireland, you are missing out. The quality of our food is world-class and many high-end restaurants in the likes of London and France import ingredients from Northern Ireland to use in their kitchens. In Belfast, there’s a strong community of local market traders, chefs and bakers in St. Georges Market who create some of the tastiest food you can get, plus if fine dining is your thing we have our own selection of Michelin star restaurants and swanky places to eat. That way you will have plenty of energy when you study English! A lot of Belfast’s history is deeply rooted in shipbuilding… a big part of this is, of course, the Titanic. Made famous by its tragic sinking and the James Cameron movie, the world has been captivated by the story of this magnificent ship. A trip to Belfast isn’t complete without visiting the Titanic Museum, a building built to replicate the size and shape of the ship containing a fascinating expedition that has been rated the best tourist attraction in the world. If you are in anyway interested in the story of the Titanic or shipbuilding, you will absolutely love it. Lots of people don’t know that Game Of Thrones is actually filmed in Belfast at Titanic Studios and many of the outdoor scenes are shot in Northern Ireland. There are loads of amazing opportunities to visit filming locations, get tours of the studios and even bump into some of the actors in pubs, restaurants and coffee shops as they’re here filming the last season. You can even go on a pub crawl across 10 different bars across Northern Ireland where Game Of Thrones was filmed, plus there’s something special in each pub relating to a specific episode of the show. Van Morrison, Snow Patrol, Two Door Cinema Club along with many other musicians have made a global success out of their skill and talent. But what’s really great about Northern Ireland is that there are thousands of insanely talented artists who perform locally every single week. The quality of music here is incredible, whether you’re going to a paid gig or listening to some live music while at a pub. Besides, what better way to study English than through singing along?! One thing people can’t believe when they come to Northern Ireland is just how beautiful the scenery is… like all of it. We are very fortunate to live in such an incredible picturesque country which is still predominantly natural landscapes. Northern Ireland has some of the most beautiful mountain ranges, beaches and coastal regions in the world, there’s plenty of places to take a break while you’re here to study English. Again, don’t take our word for it. See for yourself. In comparison to places like London, New York or even Dublin, we in Belfast enjoy quite a low-cost of living. This is great news for you as it means you study English here you can do and see more than you could elsewhere. Northern Irish people are known to be ‘dead on’ (easy to get along with) ‘good craic’ (a lot of fun) and very welcoming. Our culture is very sociable and it’s not uncommon to make close friends with the people you sit next to in a restaurant or on the train! Plus many people are starting to come to Belfast to study English, so we gladly help learners practice with patience! 9. Our teaching team is world class. At International House, our teaching team has a combined 150 years of teaching experience in over 50 different countries. We love what we do and are fully committed to seeing our students reach their full language potential and have a lot of fun while they’re doing it. Our school and staff are equipped with the latest technology and training to train any level of English ability, from beginner levels all the way up to complete fluency. Whether you want to start learning English, improve your existing skills, learn English for business, become an English language teacher or even just enjoy a fun, adventurous language learning holiday we have the perfect course to suit you. If you’re under 18 we even have English summer camps you can come to and have the facilities to provide accommodation, transport, food and everything else. Want to Study English in Belfast, Northern Ireland? 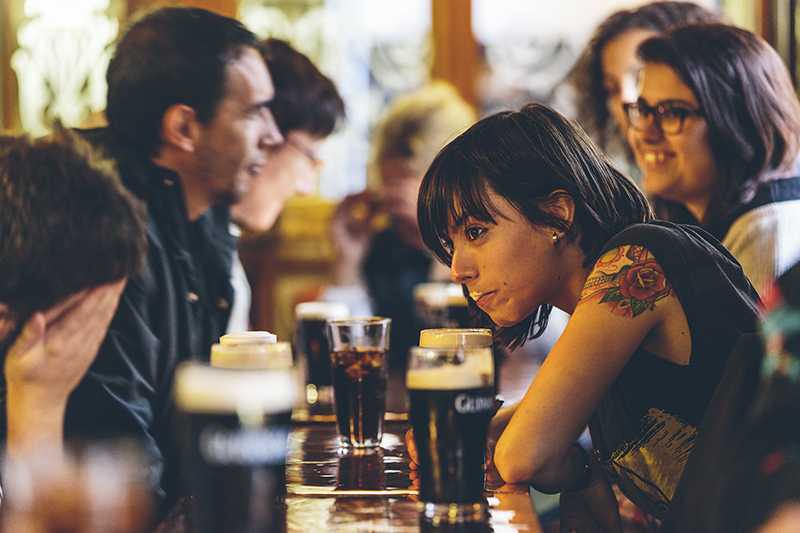 Well, that’s a wrap on our 10 reasons why Belfast is the best place to study English. If you are even just a wee bit curious about taking a course with us or experiencing a language learning holiday please feel free to contact us any time. We would be more than happy to help you choose the perfect course for you and answer any questions you may have. Other than that, thanks for reading! If you enjoyed the post why not share it with a friend who you’d love to come to Belfast with? We wish you all the best and hope to see you very soon.